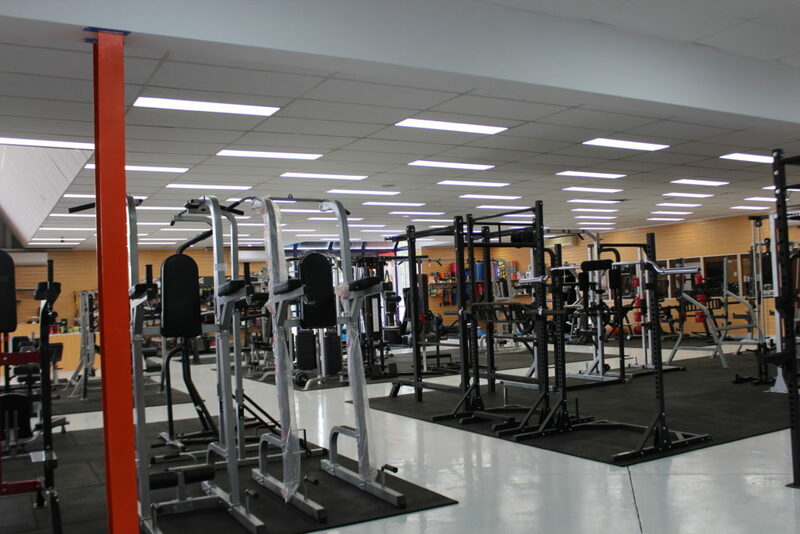 The new World Fitness location on Warragul Road, Cheltenham has been upgraded by Highbay Exchange and the Ace Trades Team and we have delivered a MASSIVE power reduction of over 33,000 watts of power. Their Showroom also had 33 old 150watt recessed ‘shoplighters’ which were now in the middle of nowhere. These were typically used to illuminate walls and displays, but with the showroom renovations these were now in the middle and useless power-hungry lights. 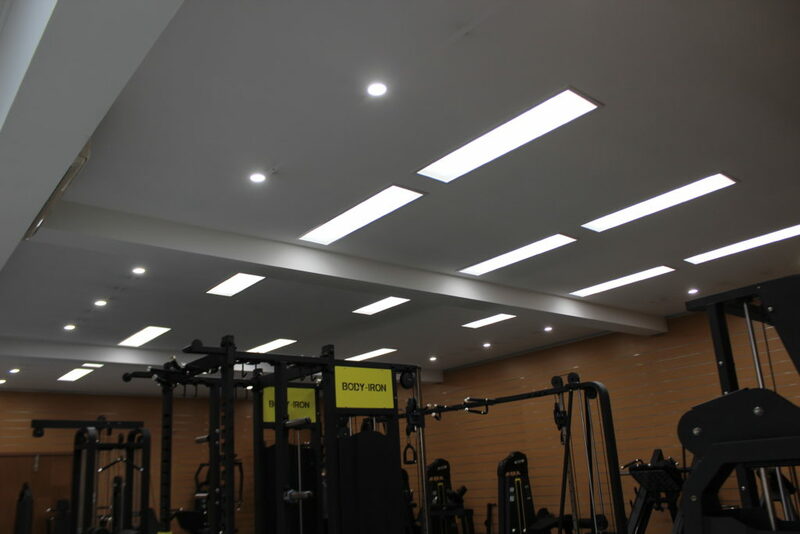 We removed all of them, and where required replaced them with 11 x 20w LED Glow Panels and 6 x 10w LED downlights and gave the showroom ceiling the continuity of illumination it needed, not to mention the power reduction. 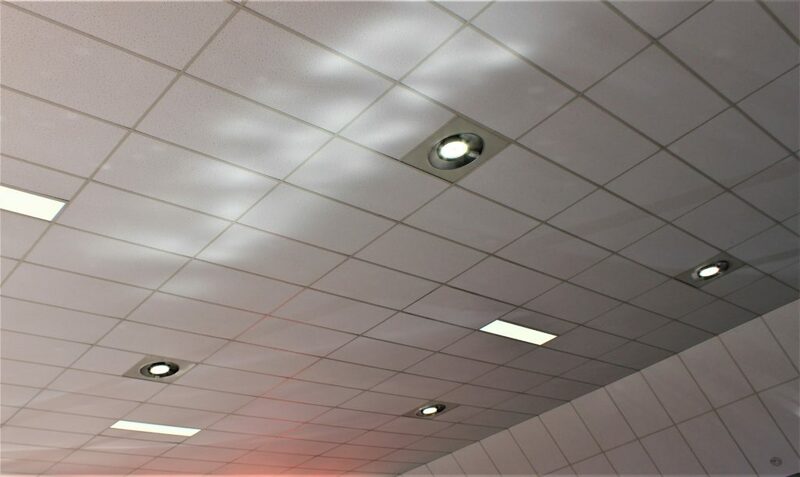 The showroom also has a section of plaster ceiling that had old 2×36 plaster recessed fittings, and a large number of 50w ‘low voltage’ track spotlights, again no longer in the best locations. We retro-fitted the old fluoro fittings with 12w LED tubes, and replaced all the low voltage spots with better placed 10w LED downlights. And finally – the warehouse itself. Again, as the warehouse had been altered many times by previous tenants, we moved fittings to more suitable locations, and actually reduced the number of fittings required. 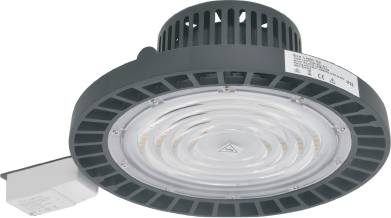 Originally there were 42 old 400w metal halide highbay lights which we replaced with 34 x 96w LED highbays. 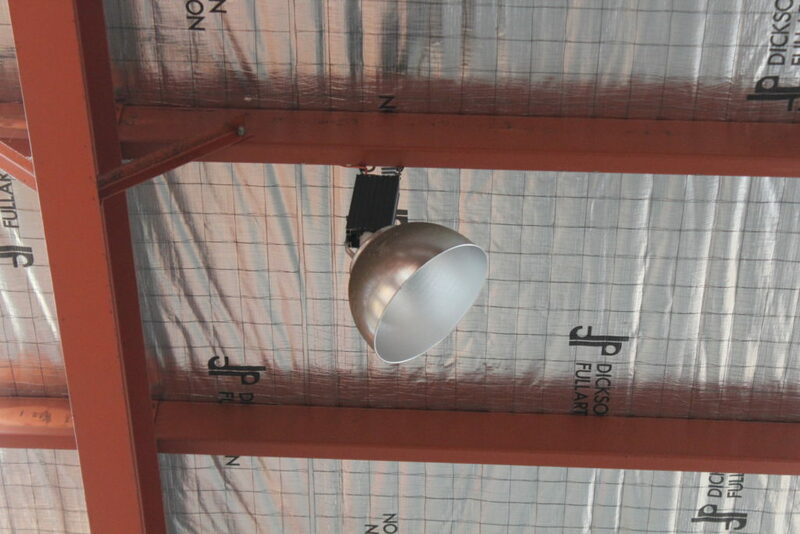 Below left is a photo of the lights that were typical – some had been damaged by forklifts over time and were a hazard. Below right are their new LED lights. 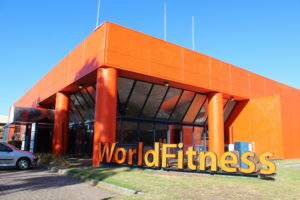 We achieved a fantastic result for World Fitness and the building owner – and under the Victorian VEET Scheme – it did not cost them a cent. The VEET Scheme paid for the supply and install of this upgrade IN FULL. If you have a storage warehouse, or a retail showroom, we can show you how to upgrade your lighting while saving up to 80% in lighting power costs. The end result is brighter and the quality of light better. LED lights are ‘instant on’ compared to old HID lamps which take up to 5 minutes to ‘warm up’. Add to this our full 5 year warranty, and lifetime workmanship warranty and you have an upgrade you can forget about for quite awhile. 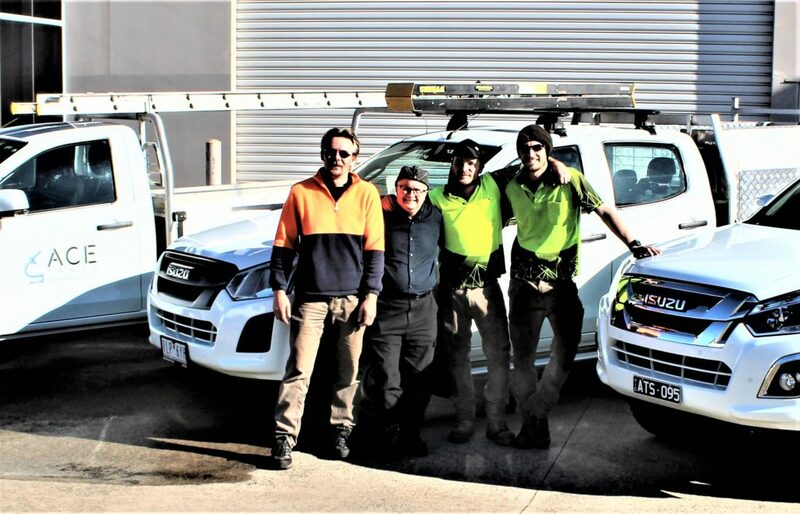 Call us on 0474 800 997 (Mark) and let us take the trouble out of your upgrade. We deliver great results!